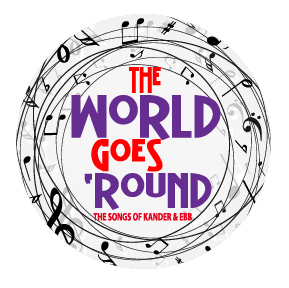 Filled with humor, romance, drama and nonstop melody, THE WORLD GOES ‘ROUND is a musical celebration of life and the enduring human spirit that keeps us all going. This musical revue is a clever collage from the songbook of the multi-Tony award-winning team of John Kander and Fred Ebb. The songs are pulled from their best-known musicals, Cabaret and Chicago, and lesser remembered ones such as The Act and Woman of the Year, as well as the films New York, New York and Funny Lady. It features unforgettable gems, including “Mr. Cellophane,” “My Coloring Book,” “All That Jazz,” “Kiss of the Spider Woman,” “Money, Money,” “Maybe This Time,” “Cabaret” and “New York, New York,” seamlessly interwoven into a passionate, harmonious, up-tempo evening of musical theater.